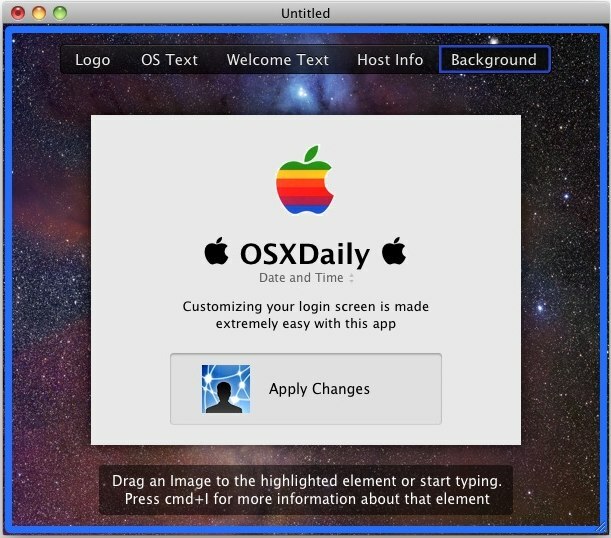 If you want to customize your Mac OS X login screen but don’t feel like getting your hands dirty mucking around in system files the old fashioned way, check out a free app called Ravissant. 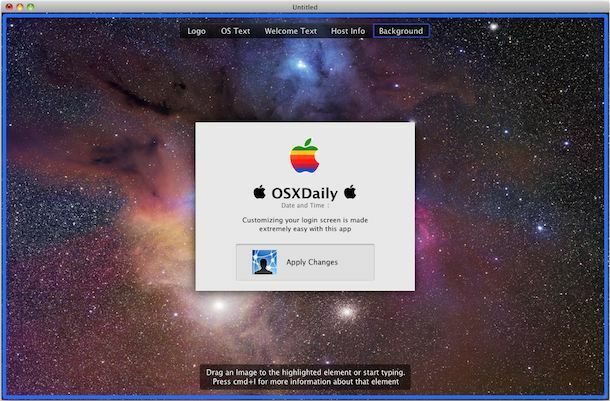 The GUI is very easy to use, just click on things, type a new message, drag in a new wallpaper or logo, then click ‘Apply Changes’ and reboot to see your new custom login screen. Did I mention this is free? The Ravissant developer doesn’t seem to have a website, so you’ll have to get it from MacUpdate or use this direct download link. You can have multiple lines also. Click Edit > Special Characters… and search for “line feed (LF)”. You actually make it seem so easy with your presentation however I to find this matter to be really something which I think I’d by no means understand. It seems too complicated and very broad for me. I’m looking forward in your subsequent publish, I’ll attempt to get the hold of it! Thank you for some other informative website. The place else may just I am getting that type of information written in such an ideal way? I’ve a venture that I am simply now running on, and I have been on the look out for such information.